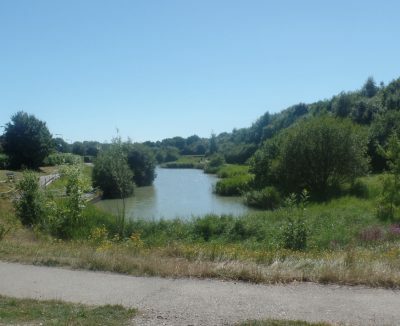 Hailsham Country Park, owned and maintained by the Town Council, covers approximately 22 acres and incorporates woodland, an open field area, wildflower meadow, two ponds and a lake. A water course skirts the open field area and all-weather footpaths can be found throughout the park to encourage people of all ages to enjoy this precious open space area. Fishing is permitted on season at the Country Park Lake (off Gleneagles Drive) and Hempstead Pond (adjacent to Tilehurst Wood). Both fishing areas are well-stocked with fish including carp, bream, roach, rudd, tench, perch and the odd pike. Daily fishing permits can be obtained from MFC supplies in Station Road and yearly season tickets are available at the Town Council Offices. Please contact Karen Giddings on 01323 841702 (during office hours) for all fishing permit enquiries. The various woodland sites have a very good selection of tree species including birch, oak, ash, maple and wild cherry. Wildlife residing in the area includes voles, mice, lizards and weasels. There are two car parks on the boundaries of the Hailsham Country Park (situated off Holyhead Close and Gleneagles Drive). The Town Council employs a part-time Water Bailiff who monitors the site, checks fishing licences for anglers on-site and reports problems or concerns about the area to the Town Council. 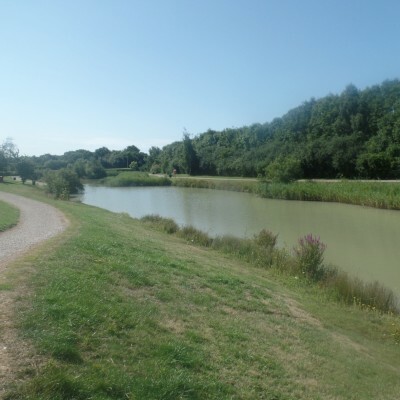 Further information on the Hailsham Country Park is available to members of the public at the Town Council Offices, Inglenook, Market Street or by calling 01323 841702.